We have created a new series for you on our blog: MANTA Cases. Real-life examples of how to use MANTA are what interests our readers and prospective customers the most, therefore we have decided to periodically publish some of the most interesting and creative cases on our blog. 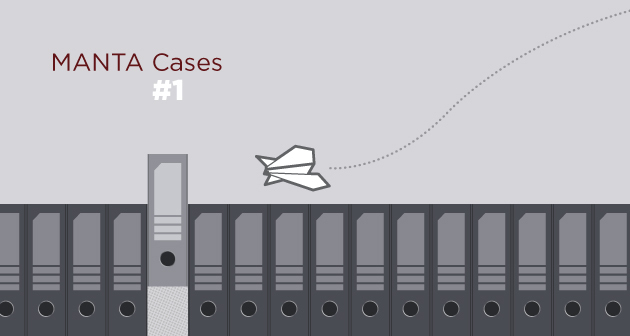 You will be able to find the entire series in the category called “Use Cases & Case Studies” on the right side of the page. Enjoy! The first part of our series is dedicated to using MANTA for market data tracking. This interesting way of using MANTA was thought up by a company that provides analysis and reporting services to their customers. Such companies handle large amounts of data. They themselves also need to buy enough data for their analyses and reports from other companies, e.g. market data from Bloomberg and others. The problem, in this case, was not a matter of personal data, therefore they did not need to comply with GDPR. (Compliance projects are, by the way, one of the most common uses of MANTA.) This was data such as past and current prices of shares, market research data, and other data that has a different kind of “sensitivity”. When the company buys market data from third parties, they often need to assure the seller that the data is being handled in a safe way, with minimum risk of leaking, and it usually must be used according to the terms of a license agreement for data use. The second thing to look out for in relation to this data is that such data is usually priced according to the number of users who have access to it. Based on these two points, MANTA had to help the customer with the need to comply with the licensing agreements, to be able to prove how and where the data is being stored; and to be able to prove the number of users, to monitor the profiles of the users working with the data. How does MANTA solve these problems? MANTA documents what market data sets are used in which individual reports. When combined with access privileges to the individual reports, the company has a clear and documented understanding of which data set is used by how many end-users, and they pay for the particular data set accordingly. Moreover, with people coming and leaving and any changes happening in the actual data use, the always up-to-date lineage gives them exact numbers at any point in time. Do you have any questions about how MANTA can solve a problem at your company? Contact us at manta@getmanta.com or use the cute little bot on the right.